A while back a dad was struggling with relationships in the home, stress at work and general frustration with where he was in life. He was challenged to systematically read the Bible – starting with the letters, then the gospels and then back to Genesis for a complete read through. There was no time line. The instructions were to commit at least 30 minutes each day to the reading of scripture, always opening in prayer for His Word to be revealed and closing in prayer with praise. He embraced the challenge. The daily readings took his prayer life to new levels. The increased depth of prayer generated a desire to journal. Journaling introduced a new dimension of praise and worship of the Lord in his life. He was compelled to do more in depth studies of particular books in the Bible after his first read through and his relationship with Jesus the Christ matured. As his relationship with Jesus matured, his relationships in the home were strengthened, stress at work was marginalized and life took on new meaning under the Father through the Son. The “one thing” for this dad was to change his habit of reading a lot of worldly stuff and focus on reading the Word of God. The impact on other areas of his life has been phenomenal. 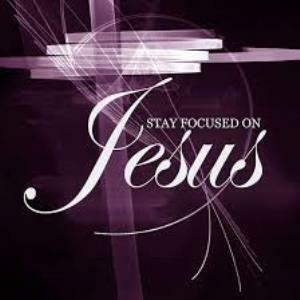 Let us fix our eyes on Jesus, the author and perfecter of our faith, Who for the joy set before Him endured the cross, scorning its shame, and sat down at the right hand of the throne of God. – Hebrews 12:2, NIV. The charge is to “fix our eyes on Jesus.” The tomb is empty so our eyes must turn to the heavens. The action is to change ‘one thing’ that has kept our eyes on the worldly stuff. Great stuff as always Rick!! !